I met my Goodreads goal of 50 books last year, but I feel that’s pretty much my limit. I can’t squeeze in more reading time than that. Admittedly, my binge-reading of RPG sourcebooks might get the count up, but I stuck with another 50 books goal for 2015. Off we go with the books I read in January. I’ll be frank, it wasn’t many works of fiction. 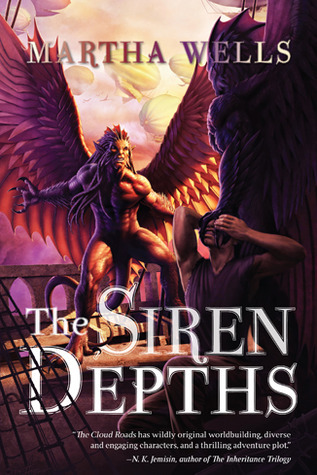 The Siren Depths, by Martha Wells – The final book of the Books of the Raksura is quite excellent. In the book, we finally get the backstory of why Moon lived as a solitary and why his foster mother Sorrow fled with him and four more fledglings from their former court, which turns out to be Opal Night, the largest court of the Raksura. Inbetween we also get lots of the usual Moon-emoness but it’s fine. This book also continues the backstory of why the Fell attacked Indigo Cloud’s court in the first book. It’s that backstory that left me unsatisfied. I was waiting for this big reveal that would explain all of the Fell’s machinations in detail. The resolution was not 100% satisfying because I just don’t understand who this creature is that the ancestors left behind. Also, why did this creature need a Fell/Raksura crossbreed? What’s the significance of that? Aargh..
Other than that, I can’t recommend this series enough. This is the first time in ages that I actually read fantasy where lots of non-human races were introduced. Jade and Moon are not a classical lovestory, no sappiness involved, and yet emotional. By the end of the final book, I cared about so many of the raksura. What more can you ask? 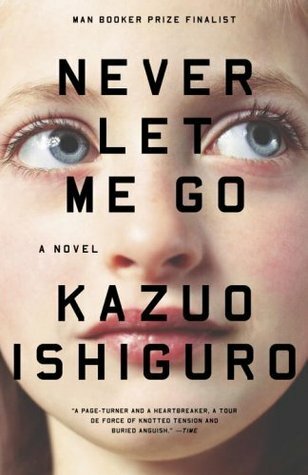 Never Let Me Go, by Kazuo Shiguro – Not exactly the sort of book that I enjoy reading. I don’t quite remember how it ended up on my shelf, but there you are. Theoretically, I added it to my to-read shelf because it’s dystopian, but that part is so buried in the book, it’s tough to find. Told from first person view, our narrator Kathy tells us the story of growing up at Hailsham, which sounds like a public school somewhere in England. There she grows up with her friends Ruth and Tommy, a set-up of the classic YA love triangle. There are hints of Hailsham having a select circle of students, and guardians dropping hints at the future of the students, but it’s not until the last 15% that the reveal happens where dystopia comes in. It basically read like a sappy school story romanticizing those school years. I didn’t understand at any point why Kathy was friends with Ruth. I pretty much was bored throughout. Why 2.5 stars at all? It wasn’t badly written, and so despite the boredom, I kept reading. And that’s it already, the rest of the month was spent reading Pathfinder books, which I will review separately. Yeah, Never Let Me Go ended up being pretty disappointing to me. There were interesting ideas and the writing was fine, but the execution and pay off just weren’t there. I am so glad I am not the only one. I know one of the reasons I kept reading was that I expected a pay off that would make the dull school story worth my time. Only that it didn’t really happen. Ugh, Never Let Me Go. I love dystopic fiction, but this book was just boring. The characters were so insecure that after a while they just irritated me, I had no sympathy for them, and no investment in what happened to them.